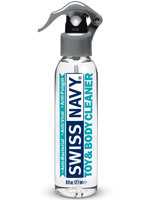 Keep intimate toys germ-free! 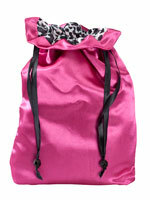 This Sugar Sak™ large drawstring pouch with microbiostatic leopard-print lining inhibits the growth of bacteria, yeast, and viruses. Satin. Machine wash. USA. 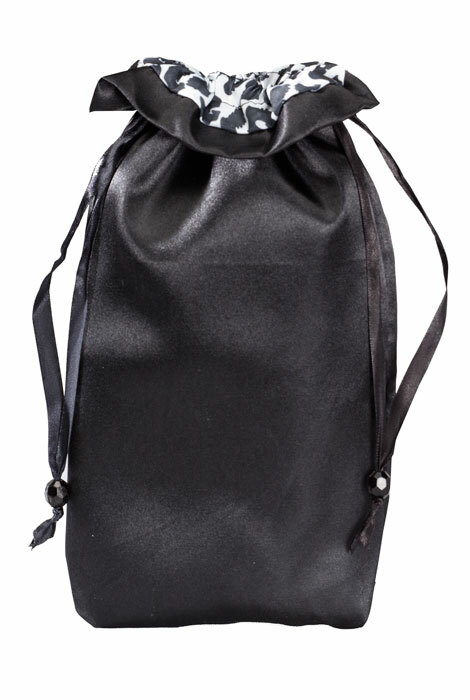 Large drawstring pouch (13 1/2" x 7") is black. Needed something to store our toys in. It was suggested and I do not have something to put the item in. What material is the sac made out of? BEST ANSWER: Thank you for your question. It is made out of Satin. We hope this information will be of help to you.